Is that hair even real? I’m in a fantasy baseball league again and I promised to pay more attention to it this year just like last year, and the year before that, and the year before that. I haven’t finished higher than 10th in years because that resolution generally lasts until, oh, week three. For whatever reason my middle infield is always the worst, and I’m always looking for somebody who can play more than one position so I can swap him out when I remember to check my lineup and realize that I have four guys who have been on the DL for weeks, usually starting with Daniel Murphy, who I have yet again this year (how Matt Kemp didn’t wind up on my team for approximately the 8th year in a row is mystifying). After the auto-draft (first pick: Mike Trout. Second pick: Josh Donaldson. Third pick: Ryan Braun), I saw that my shortstop (Jimmy Rollins) is 200 years old and could only play shortstop and my first baseman (Joey Votto) could only play first base and my third baseman (Donaldson) could only play third base, something that has happened every time I have played fantasy baseball. This, of course, forces my other third baseman-only guy in Kyle Seager to the utility role, meaning that Andre Ethier is on the bench. Not to mention that two of my outfielders can only play one spot (Trout in center, Braun in right). I also only ended up with one catcher, a fellow I have never heard of named Travis D’Arnaud who plays for the Mets. I don’t know what’s worse: that I had never heard of him or that he plays for the Mets. As a result, I went looking for a guy who could play more than one position, hopefully on the left side of the infield, and I hit the jackpot. 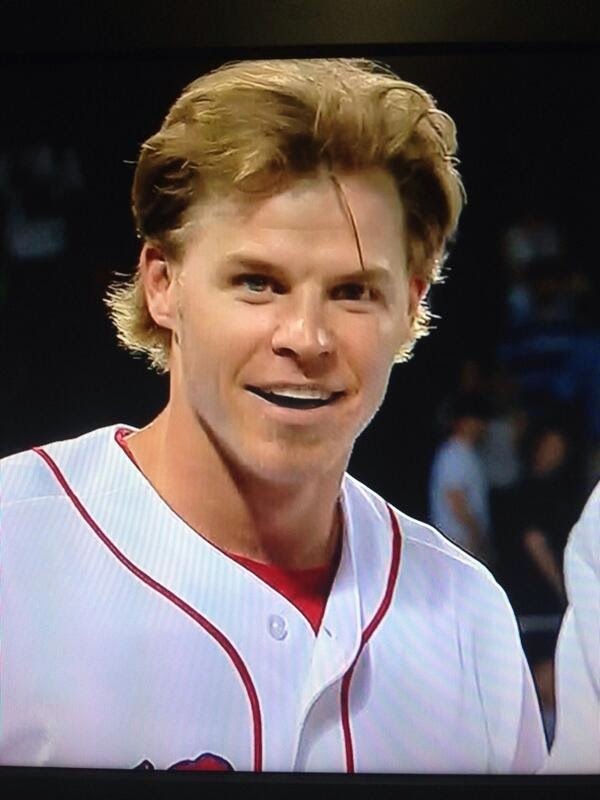 I found that the Boston Red Sox have a guy named Brock Holt. He is listed as eligible for every position on the field except for pitcher and catcher. 1B, 2B, SS, 3B, LF, CF, and RF. I couldn’t believe it when I saw him on the free-agent pile. Since my league is mostly filled with retired hippies who scroll the waiver wire looking for players, I was certain that there was something wrong with the guy. Nope. He played in 106 games and had at least ten starts in every position but first base and left field. 39 at 3B. 10 in CF. He’s going to make the opening day roster, the question is where he’ll play and when. In these days of specialization- LOOGYs and so on- it is refreshing to see a guy willing to play everything. I’m sure that if Brock Holt had his choice he’d just play one spot, but on the loaded Red Sox he’s forced to be a true utility man. Besides, would you rather be a back-up on the probable World Champs or a starter on the Astros? It depends on what size fish in which pond you’d rather be in. Since it’s just his second full year in the league, it’s more beneficial for Holt to learn from the veterans. 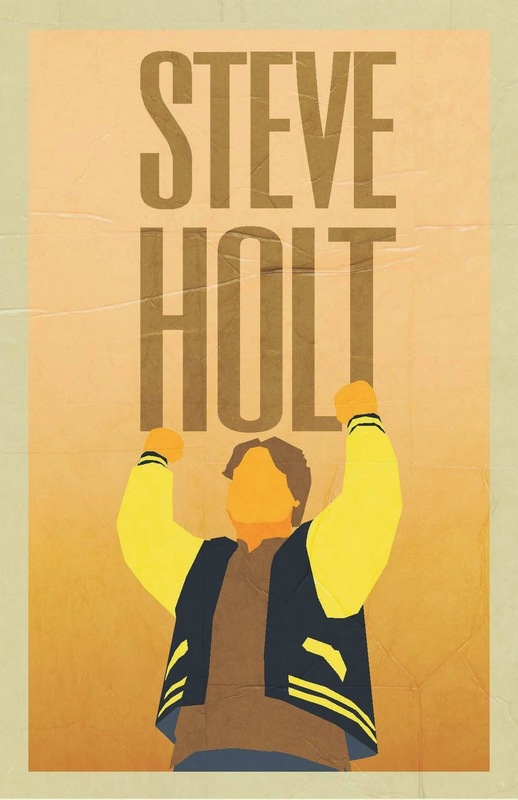 Now, I’m not expecting Brock Holt to do anything much except for remind me of Arrested Development. He’s not going to get an opening day start for me over any of my starting seven. But he’ll be there when one of the seven guys ahead of him gets hurt of has an off day. If I finish higher than 10th this season, it’ll be precisely because of Brock Holt. As long as I don’t forget to sub him out after he fills in for Mike Trout one day.